Get out the hot glue guns and glitter! It's time to make some holiday crafts! 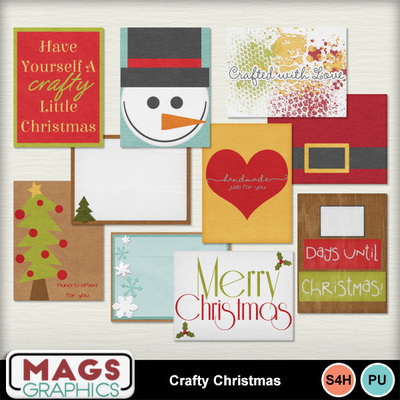 This CRAFTY CHRISTMAS Series is full of seasonally-themed elements and crafty creations to scrap your holiday arts and crafts. This is the JOURNAL CARDS Pack. It contains 10 3"x4" Journal Cards.